I once had a Geography teacher called Olive Myrtle Searles; as the adage goes, you always remember a good teacher. She was short, round and seriously old school in her authentic passion for her subject. Our classes would be accompanied by personal slides of her trips around the world, interrupted occasionally with embarrassed giggles as “Oh, here’s me in front of the pyramids, that shouldn’t be in there!” punctuated proceedings. Or “Oops, here I am again in the Australian outback!” To this day I remember ridiculous amounts of random facts about the various countries of South America, not to forget the finer points of coffee farming in Brazil, thanks to her enthusiastic teaching. Why do I mention all of this? Because somehow, my geography teacher couldn’t have been called anything other than Olive. It’s a word, a name, a colour that carries with it an inherent sense of seriousness, commitment and gravitas. Olive means business. Employ it haphazardly at your peril. 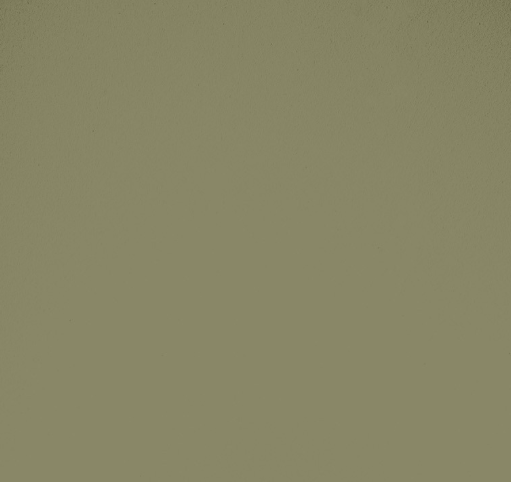 As a colour olive green has a timeless, eternal quality to it. It doesn’t shout for attention, rather, it takes a quiet, confident stance that’s reassuring in its solidity. And, perhaps because of its long-standing associations with khaki army fatigues, it also embodies a very practical dimension. 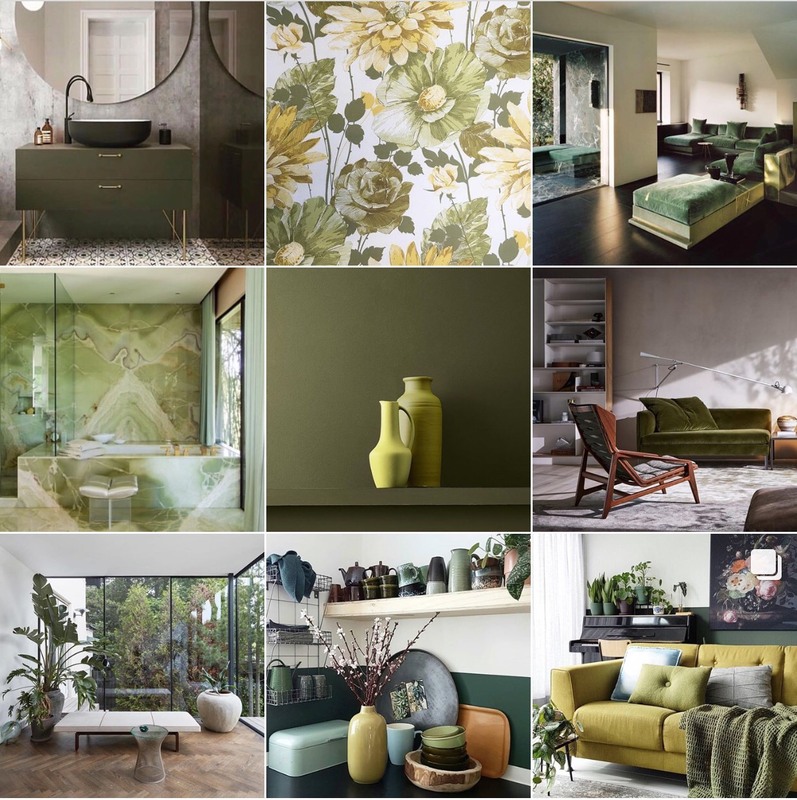 A cool and casual hue with an in-built sense of the outdoors, olive is not as formal as navy, nor as sophisticated as grey, but somewhere comfortably in between. As such, it works extremely well with both of those shades for navy adds a sense of cool crispness, while grey confers a dose of smart chic. Palest pink or even a pastel turquoise too would lend a contrasting, yet complementary, lift. And of course there’s always white, guaranteed to suggest a balancing swathe of calm. However, too much white, or too little olive with white, could result in rooms that feel too cold. In other words, olive is a colour that requires, nay expects, a certain investment in it, it seldom works its magic if used half-heartedly. Caveat: Olive on its own can become too heavy (top right below is actually more of a Sage Green, ie bluer, and better if you’re contemplating whole rooms). It needs something to lift it and add an element of surprise. However, there are many nuances to the colour, so it’s good to play with those sample pots as go too dark and it can become too brooding; too light and it’s just a rather unpleasant green. 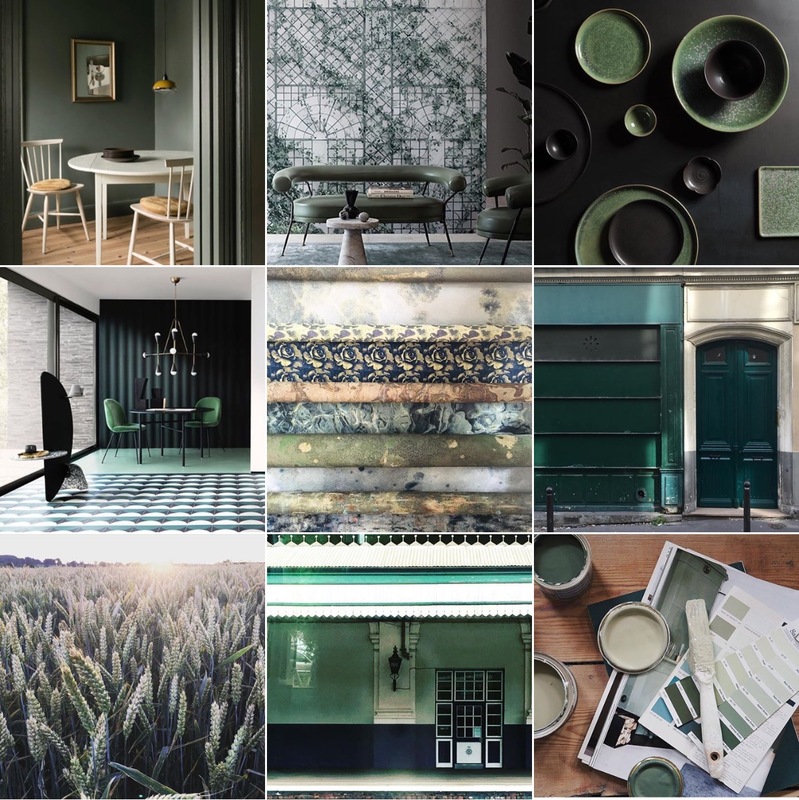 Olivegreen Instagram Moodboard @michelleogundehin. Check feed for credits. Which were actually quite hard to find as many were just too ‘red’ for me, and those with a lot of blue, I see as a rather delectable Sage Green which is wonderful, but quite another colour, and another post! Coming soon. ‘Drab Green’ from Edward Bulmer paints. A cool khaki olive green paint. ‘The Botanist’ from Paint and Paper Library. An olive green with a dash of red. ‘Wild Olive’ from Fired Earth. A classic ripe, rich olive green paint. 4 Olive Colour #72 by The Little Green Paint Company: one shade deeper again than the above!  ‘Olive Colour’ from Little Greene, a super rich olive green.